Tamarind dates spread is tangy and sweet, which is can be used in chaats, samosas etc., A chaat is incomplete without this spread to spruce it up. 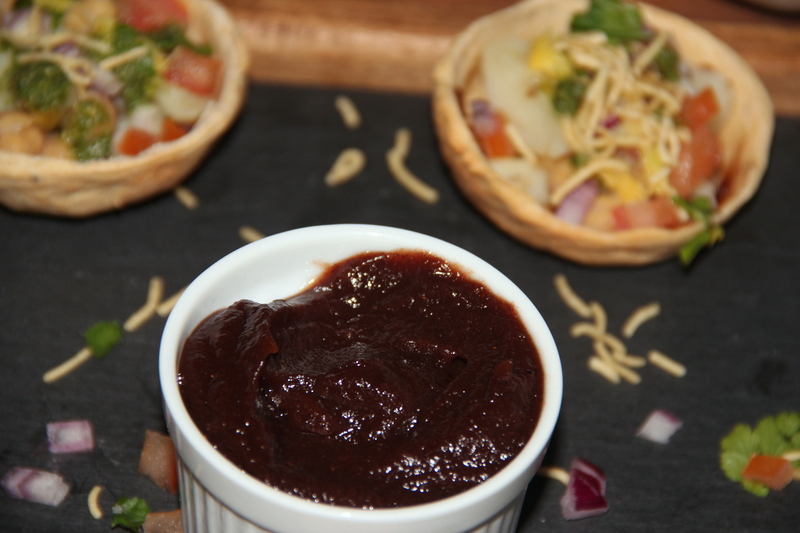 This chutney is healthy considering the ingredients and I replaced jaggary with honey. Though it is available in the supermarket in bottled form but homemade is economical and healthy without any added preservatives.